Complete embroidery kit including Zweigart cotton printed canvas, printed chart, acrylic yarn, needle and instructions. 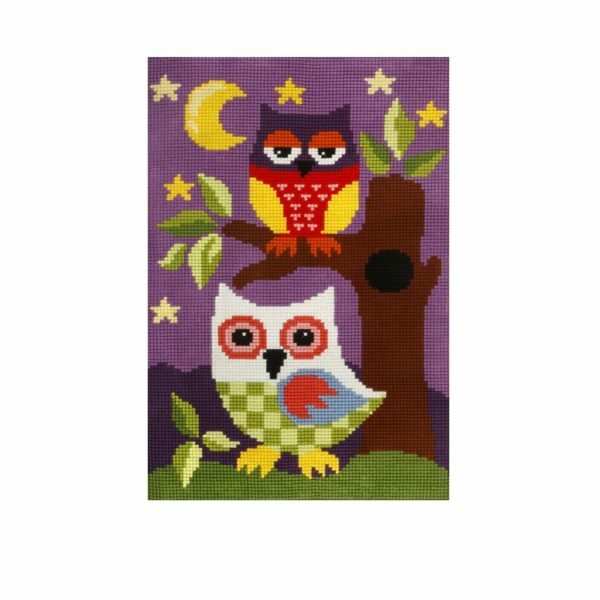 Embroidery kit for children’s rug, themed “Night owls”, dimensions 50×74,5cm. After finishing the embroidery, follow the instructions to make it a beautiful rug. The perfect children’s gift! Night owls (cross-stitch kit 50×74,5cm printed canvas rug) – Complete embroidery kit in beautiful pattern for children’s rug.